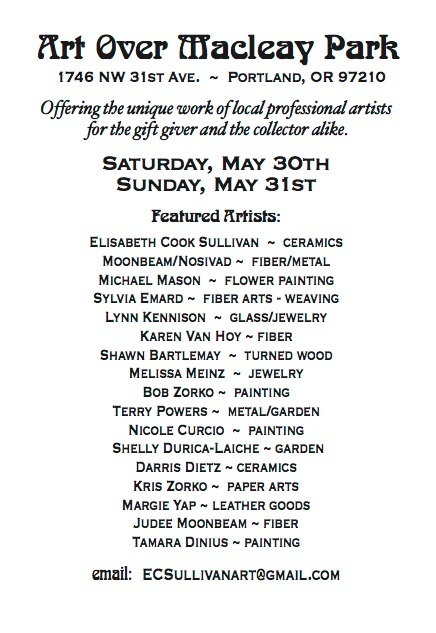 I’m happy to be in the Art Over Macleay Park spring show this year. Come check out my work in the garden. Categories: shows | Tags: show poster, shows | Permalink. 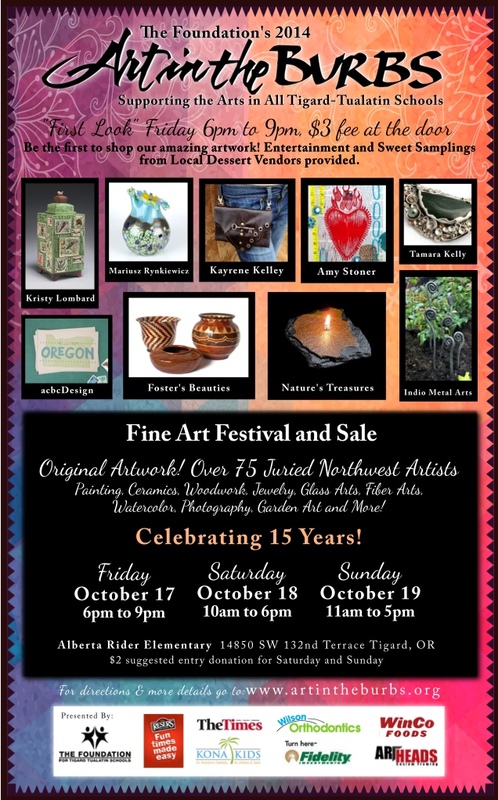 I’ll be showing at Art in the Burbs in Tigard Friday – Sunday. This is my last scheduled show of the year. 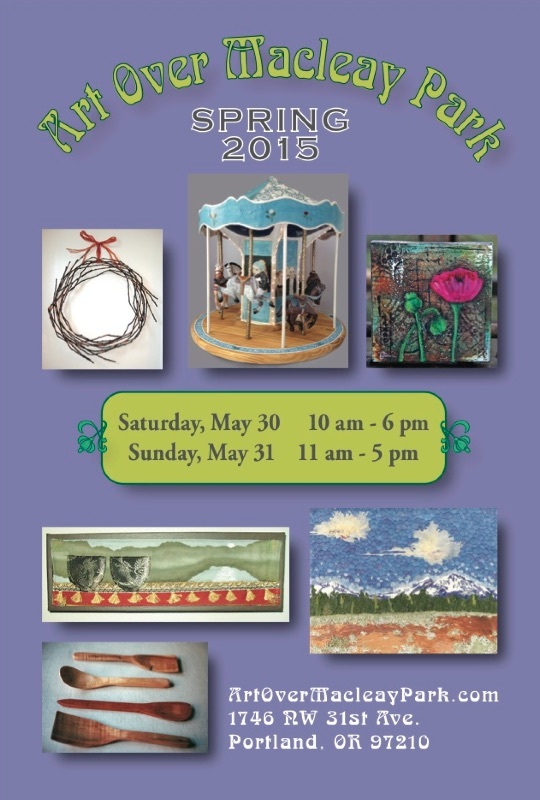 What a treat to have my fiddleheads join the other artist’s works on the poster! 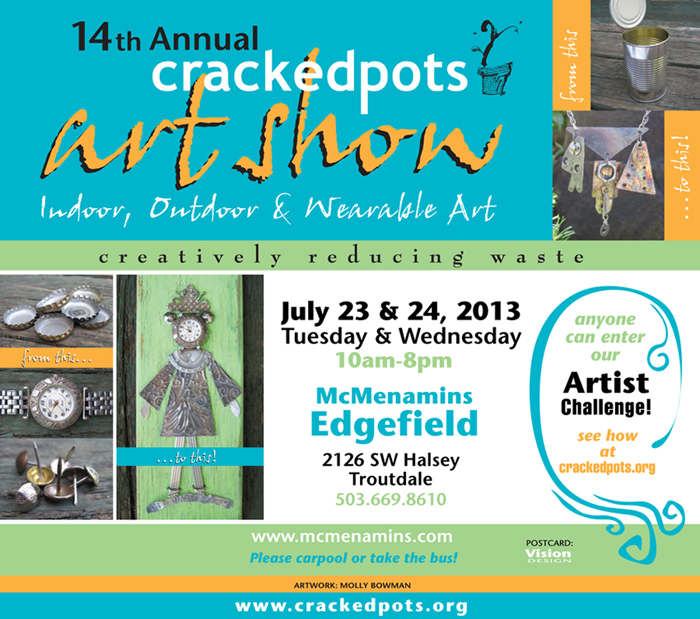 Categories: shows | Tags: art festival, show poster | Permalink. It’s such a beautiful drive out to Aurora on 99E through the small rural towns past farm lands, orchards and red barns. 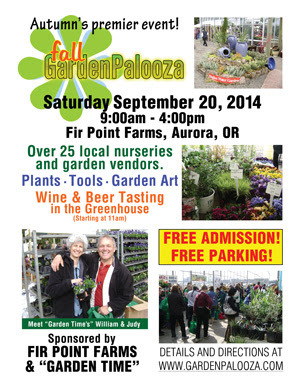 Enjoy the day and come out to pick up plants at great prices, art and all your garden needs. See you there. Categories: shows | Tags: show poster | Permalink.